The genesis of the North Toronto Tennis Club (NTTC) was the 1912 formation of the North Toronto Lawn Bowling Club (NTLBC), founded by a sports enthusiast and community spirited North Toronto resident – Edward B. Stockdale. The bowling greens along with a small clubhouse were built on his property and leased to the club. The club’s stated purpose was to promote the games of lawn bowling, curling, skating, tennis, and other winter and summer amusements. In 1919, a subsidiary tennis facility was developed and managed through North Toronto Lawn Bowling Club (NTLBC). In 1921, Mr.Stockdale sold the club property to the City of Toronto. Since that date the lawn bowling and tennis facilities have continued to occupy the property under various arrangements with the city government. 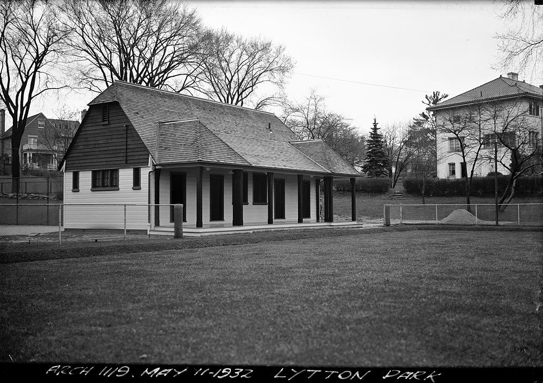 A major disruption occurred in 1928 with the establishment of Lytton Park by the City. This was due to the installation of water facilities and the North Toronto sewer line. By 1930, the work was completed and a permanent three court tennis facility was built on the present grounds. Although accurate historical documents are lacking, by some accounts, 1930 is the date that the club as an entity became known as the North Toronto Tennis Club, but still under the NTLBC administration. NTTC Silver Cup In 1936 the North Toronto Lawn Bowling Club presented to the North Toronto Tennis Club a silvered cup to be awarded to the winners of the mixed doubles tennis tournament event won that year by Cecilia O’Donohue and Ed Dobson. To date this silvered cup represents the sole surviving archival link to the early years of the Club. The mixed doubles cup was lost between years of 1953 and 1983. When found and returned to the club in 1983 the mixed doubles tournament event resumed and the tradition continued. Although the early club’s entire collection of historical documents has been lost, there is evidence that the Club participated in a high-level doubles competition – the Toronto Men’s Tennis League. 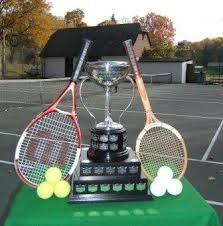 This league is one of the oldest organized tennis events in North America, having started in the early 1900s. The league was composed of the following clubs, some of which are now defunct: the Boulevard Club, the Canadian Bank of Commerce Tennis Club, the Canadian National Recreation Association, the Hudson Tennis Club, the Old Mill Tennis Club, the Toronto Lawn Tennis Club, the St. Hilda’s Tennis Club, the Victoria Tennis Club, the Toronto Cricket Club and finally the North Toronto Tennis Club. The NTTC withdrew from this high level league in early 1970s. In the early 1950s the lights were installed by the City of Toronto and surface was still red clay. The transition from red clay to hard surface occurred in the early 1980s. By 1964, the rather loose association with the NTLBC ended amicably the two clubs agreed to go their separate ways. In 1970, the Club, now as a separate entity, developed and approved at a Special General Meeting its own by-laws that have been amended several times and now guide the policies and management of the Club. In 2004, the Club Executive decided to hire part time Club managers, who are now responsible for the seasonal operations and management, thereby freeing the executive committee to concentrate on policy and long range planning. A major change occurred in 2005/06. Taking a leaf from the distant past, the Club decided, with approval of the City of Toronto Parks, to extend the members hours to a full day club thereby initiating a process of taking greater control of our beautiful community-based tennis facility. As of 2006, the NTTC essentially returned to its original roots – a friendly, members managed, community club. To celebrate the rich heritage of this Club, a first ever celebration was organized and held on June 24th 2006 to commemorate the 70th Anniversary since the 1936 Mixed Doubles Tournament event. A large gathering of Club members and past members – including six past presidents – marked the occasion. The day’s events were captured in photos which were placed inside the “2006 – 2036 Time Capsule” along with other memorabilia and items of interest. The time capsule has been placed inside the hollow base of the Mixed Doubles Trophy. It is to be opened to mark the 100th Anniversary of this event. In 2008, the Club became a non-profit organization with a board of Directors. A major refurbushing of the clubhouse was undertaken. The introduction of a new website and greater emphasis on communications has brought the club to a new level for the greater enjoyment of the club members and guests.